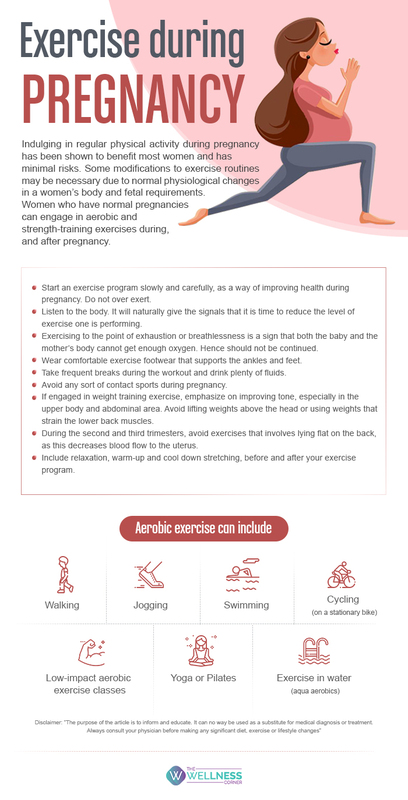 Maintaining a regular exercise routine throughout your pregnancy can help you stay healthy and feel your best. Regular exercise during pregnancy can improve your posture and decrease some common discomforts such as backaches and fatigue. Physical activity may prevent gestational diabetes (diabetes that develops during pregnancy), relieve stress, and build more stamina needed for labor and delivery.